SURSAGAR, the lake at the city centre of Vadodara, Gujarat, is an example of reservoirs as a typical element of Indian cities, towns and villages, before the British Raj, or of pre-industrial era. Vadodara City has many reservoirs besides the tanks attached to the villages that are added after the expansion of city limits. It should be a surprise if some of them are now in a neglected state. Yet they remain and function as vital public and community places. All the tanks of the villages could be turned into natural water parks with little planning action. 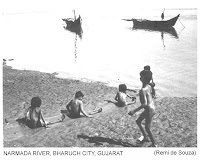 Children at play at River Narmada near Bharuch City. There are many dimesions to this play. Rice paddy fields, though seasonal, are nearest to a good example of ‘water parks’. They are rich with flora and fauna, and are generally breeding places for fish. Some peasants dig ponds in the fields to conserve fish where they are assured of water even after the harvest. Water gives sustenance to life, and culture to man. It is precious and sacred. In this magnificent land there are innumerable rivers and lakes, a great coast, great volume of frozen water on the Himalayas. There is plenty of rain, but there are also draughts, famines and floods recurrently happening. There is pollution of waters, and of the land; both are synonymous. Are we managing water well? Let us take, for example, City of Bombay (now Mumbai), said to be the financial capital of the country. Mumbai city was founded by the British. They also developed excellent natural harbour. They reclaimed the creeks around the original natural islands. The land grabbing continued unabated since then by reclaiming the sea, lakes, and water bodies in the city and by expanding the jurisdiction of the city government by extending the boundaries beyond the island city. There are now one million people. 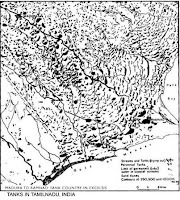 They continued to exclude water by paving the land with tar – concrete – stone to make it watertight and free of soil (spoil! ), not only the roads, but also the open spaces around the building and estates. Most of the city’s open space is taken over by the car for roads and ‘Car Park’. There are no ‘Water Parks’ in the city. Water is imprisoned in the pipelines, and in the concrete – iron – plastic water tanks, and on the top of the Malabar Hill. Even the rainwater is imprisoned. To compensate the loss of water absorbing soil and loss of water bodies due to reclamation, Mumbai now gets regularly flooded during monsoon (Ill. 1). Let us take an example in contrast. Thirty kilometers away there is more ancient town of Panvel. In the old Panvel of 25,000 people there are seven built water tanks. Some of them are now in a derelict condition. The great Wadala Tank is partly bulldozed by the modern town planners while planning for the extended area of Panvel. The remaining part of the lake is now getting silted and infested by weeds. Perhaps the planning manuals do not write about ‘maintenance planning’! Let us visualized for a while! Mumbai could have been the Oriental Venice, if the creeks were not bulldozed, and if the traditional waterways were not sealed by the British. Following their footsteps the planners of Mumbai Metropolitan Regional Development Authority [MMRDA] have twice prepared 20-year plans for the Mumbai region. But they ignored or failed to notice that the people in the coastal area of Raigad and Thane Districts use the natural-inland watercourses as waterways for transport. Neither could they see the pollution of waters and land and the salt pans as an after effect of planning for development. The British, of course, had their goal/s, which is known, and for them the goals justified the means. Planning is not to coerce the people [Patrick Geddes] but demands vision with insight into that which is. Our ancestors acknowledged the presence of water in life by sanctifying it and associating with it in the rituals from birth to death, and in the religious places. They built lakes and tanks within and around cities (Ill. 2) and tanks for the villages (Ill. 3). They built great Ghats along the rivers, and the rivers were sacred and mothers (Ill. 4) to the people. Rivers became places of pilgrimages. They brought people together, including those from the far away dry places in contact with water. People regularly took holy dip in the sea. It was a national policy for health, education and national integration, which no amount of preaching, coaching and slogans can ever achieve. Modern developments of concrete jungles in the cities have created heat islands. The modern Indian City planner continued to ape western models and manuals instead of studying and learning from indigenous Indian habitat planning. Indigenous cities have city centers with lakes. The modern city centre displays ‘Car Parks’ The planners perhaps do not recognize water beyond its use for plumbing, sanitation, construction and aesthetics of hedonism. But the worst of all draughts is that what is ‘known’ of the environment from virtual reality of books and multi-media, is hardly ‘witnessed’ and rarely ‘experienced’ in the daily personal and social life. The coming generations are successively and progressively draught- stricken, not only in urban areas but also in rural areas, waiting for some white angel to come with magic wand to solve their problems. We perhaps ‘know’ intellectually the worth of water, but are we intrinsically ‘aware’ of water beyond H2O? We have taken water too much for granted. The Indian society is caught up in the web of vertical and horizontal divisions. The vertical divisions of caste, which brought the society to the decadent state, once denied the access to the untouchables to water on community wells. The horizontal division is of the class and status, which was successfully grafted by the British Metropolitan Imperialism [David Canndine, ‘Ornamentalism’, Penguin] on the fertile soil of the feudal society. Now the class, the upper division is colonizing even the water in the name of common good. Water – one of the five elements, instead of becoming unifying element for the society is a cause for conflict between class and the underclass. The sayings, such as, ‘One cannot draw a line on the water’; ‘River is afire’ [Kabir]; ‘Water goes to sleep. Water gets (wakes) up” [Indian farmers] can only be learnt from the water itself, not by discourses and treatises. In the cyber age of animated virtual reality it is not even a remote possibility to learn the lesson. It will only lead to aggravate the conflict, perhaps leading to annihilation of the underclass. To learn from water, however, there is no bar of gender, age, caste, creed, class and status. We therefore need ‘Water Parks’ alike ‘Public Parks’ and ‘Play Grounds’. Perhaps they may be combined. Water Parks need to be developed as public open places in the cities and rural areas, both, in all regions. Water Parks, perhaps, are not written in any known treatise or manual, ancient or modern, on architecture and planning. Every society, however, has to prepare its own treatise as expression of its own time. We may learn from the past, but cannot imitate it. 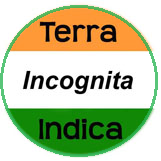 It must have water – sweet or salt water; it must have aquatic life – fishes, amphibians and plants; it must be accessible to any citizen to work with hands, basic tools and equipment and to develop, maintain and enjoy the fruits – the products of it. We must clearly understand what is Water Park. Water Park is not a water–conditioned nightmare created by the corporate sector [or the class] in the metropolitan cities fashioned after Disney Land, Water Kingdom, for entertainment and profiteering, or rickety fountains peeing around artificial rookeries and statuaries, imprisoned by fencings, gating and ticketing. Water Park is not glass–conditioned aquarium. Water Park is not a water sports centre; though both could co-exist. Water Park is not a swimming pool, but both could be neighbours on strict conditions. For example, ‘Chlorine’ and such other poisons consumed by humans is the enemy of Water Park. Rice paddy fields (Ill. 5), though seasonal, are nearest to a good example of ‘water parks’. They are rich with flora and fauna, and are generally breeding places for fish. Some peasants dig ponds in the fields to conserve fish where they are assured of water even after the harvest. We can derive a broad outline about what should be Water Park? 2. Water Park should have infrastructure according to its increasing complexity, such as, water testing equipment, laboratory, water recycling plants, water conservation models, various irrigation systems etc. in working conditions. 4. Design, content and context should be appropriate to the region, land characteristics, climate etc. Local cultures and traditions should find appropriate place and featured at the water parks without the taboo of secularism. 5. Area of Water Park as a public open place could be of any size above one half acre. 6. Water Park as a public open place should be owned, developed, managed and maintained on participatory basis by the members of the local community who actually work with their own hands and should enjoy income from its proceeds. 7. It is anticipated that the Water Park has the educative as well as leisure value through creative efforts of the participants. Industrialization destroyed the community and created ‘mass society’. It also created institutions, which take control of almost every aspect of life of individual and the collective, which has resulted in loosing their autonomy of decision and action. Thus there is want of identity, or the identity crisis. Water Park is likely to get caught up in the spider’s web of natty-gritty of institutionalisation, i.e. ownership, funding, MoU, constitution, rules and regulations, office bearers, trustees, and many imaginable or unimaginable issues raised by the officialdom, and may even see the last drop of water lost in the heat…before it actually materializes. In the cities the cars and the ‘Car Parks’ are given thousand of acres of land for the moving and stationary cars by legal instrument. What is a big deal for the law making and law-abiding elite citizens to give equivalent of that area for the ‘Water Parks’ in the urban areas under the instrument of law? Water Parks should be attached to, beginning from primary schools to colleges and universities to all educational institutions, along with playgrounds, as an instrument of non-formal education; to the public parks in the urban areas. Water Parks should be attached to all the government, judicial and legislative institutions, beginning from the President’s Palace, the Supreme Court, and the Parliament at New Delhi to the offices of Gram Panchayat, Talathi and Tahasildar at village and the Taluka levels, as an instrument of non-formal adult education; all the estates of corporate sector and NGO sector, and local self–government sector in proportion of their ‘land–buildings–cars’ holdings. In urban areas water parks should be part of the Compulsory Common Open Spaces or Recreation Grounds to all housing – mass housing – Real Estate Housing – development. If the Revenue Act could be implemented, why not the Water Park Act? All the environmental activists and pundits can join in the building the Water Parks all over the country. The land required, 3,287,000 square kilometres is there. All that is needed is to “catch a drop”. Water Parks could at least provide work and livelihood to the under-privileged of the underclass, provided these are not hijacked by the class, or the elite class, or the corporate society under different garbs, such as ‘privatisation. After all why do people build temples – with or without images – in the name of Creator? Water Park is the celebration of Life. At this juncture I would like to say "utopian" dreams. Who is going to do all this Remiji?. The govt, or the people? They want muti storied houses, with Tech jobs in AC environment. They are creating millions of desk bound engineers who will not have anything to do with this. Empower the common farmer, he will do what you dream of. I am cynical right now, but may be generations to come might realise , without waiting for the white man with the magic wand. Thank you Pattuji, for your frank comments. People get the Government they deserve. Client gets architect he deserves. What I write here is not utopia. Millions of Indians have been living for millennia until now, until firangis came with Industrialization. They butchered Islands and Creeks and wetlands of Mumbai; they taught us land grabbing and we fell for it.